MInister for Health Simon Harris will meet with the author of the report Dr Scally next week. THE REPORT INTO the Cervical Check controversy has been submitted to the Department of Health, it confirmed. The report by Dr Gabriel Scally will be forwarded to the Attorney General prior to submission to government and subsequent publication. Minister for Health Simon Harris intends to meet Dr Scally early next week to be briefed on his report, after which the Minister will bring it to Cabinet. and their families on the contents of the report. While in the process of carrying out his inquiry, Scally has been vocal in his criticism of certain aspects relating to the Cervical Check controversy. Interim recommendations made in June by Scally said an immediate ex-gratia payment of €2,000 should be paid to each woman involved in the Cervical Check scandal and to the next of kin of the deceased. Upon that announcement, Scally said that it had been difficult to obtain information in the format required. Harris later said that it was “absolutely pathetic” and “not acceptable” that documents were being provided in a way that was easy to access. 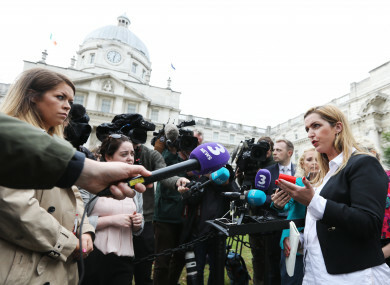 The CervicalCheck controversy came into the public eye when Vicky Phelan, whose cervical cancer is now terminal, settled a High Court action against the HSE and the US laboratory tasked with reviewing one of her smears for €2.5 million. At least 18 women whose smear tests were highlighted during an audit have since died. Health Minister Simon Harris launched an inquiry into the controversy in May. The scoping inquiry will examine details of the non-disclosure of information: from Cervical Check audits to patients and what various parties – including the HSE and the Department of Health – knew and when they knew it. It will also examine the tendering, contracting and operation of the labs contracted by Cervical Check. Earlier today, The Independent.ie reported that CervicalCheck was in talks with three laboratories on renewing their contracts from next month. “CervicalCheck laboratory services are currently provided by two contracted laboratories and one public laboratory,” the HSE said in a statement to TheJournal.ie. A separate strand of the examination will review the screening tests of all the women who have developed cervical cancer who participated in the screening programme since it was established (more details on the Scally probe here). - with reporting by Daragh Brophy. Email “The inquiry into the Cervical Check scandal has been completed”. Feedback on “The inquiry into the Cervical Check scandal has been completed”.